This weekend was filled with friends and food... just the way I like it! On Saturday we went to the market to buy lots of fresh produce and local goodies. Do you ever wonder what happens to all the leftover pumpkins after halloween? We put out the cheeses we bought from the market fromagerie, and they were gone within minutes! I met a friend for a wholesome lunch at my favourite vegan restaurant, Aux Vivres. 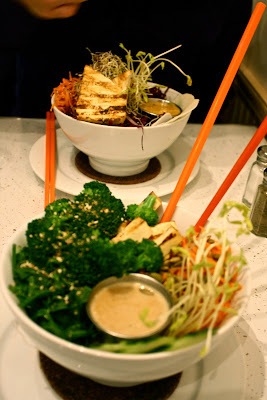 They serve these amazing mixed vegetable bowls & brown rice. This is a Buddha Bowl... it was delicious, and surprisingly very filling. 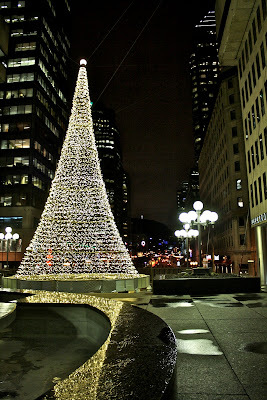 And finally, I was delighted to see that the iconic Montreal Christmas tree was put up. It's actually not a tree at all, just a bunch of lights strung up together. But we all love it anyway, and Montreal at Christmas just wouldn't be the same without it. Sounds like such a perfect weekend (love the board game screaming :)). I'm eyeing that delicious Buddha Bowl hungrily now! Sigh, and the lovely Christmas lights...we still have Thanksgiving in the States, but I can't wait for Christmas season to begin in earnest. Never heard of that board game-I'll have to check it out! Ah so pretty. Christmas! Love it. I love 'Ticket to Ride'! Such a fun board game. Have you played 'Settler of Catan' it's similar and super fun too! We also love to eat cheese and play games...Simple stuff are always the best, right? looks and sounds wonderful! thanks for sharing! What a fun weekend! Love the market and the fresh cheese and the vegan vegetable and rice bowl! I want to see that tree in person - looks beautiful. As for poppies, I've already lost 2. Better get another one today. Thanks for the reminder! 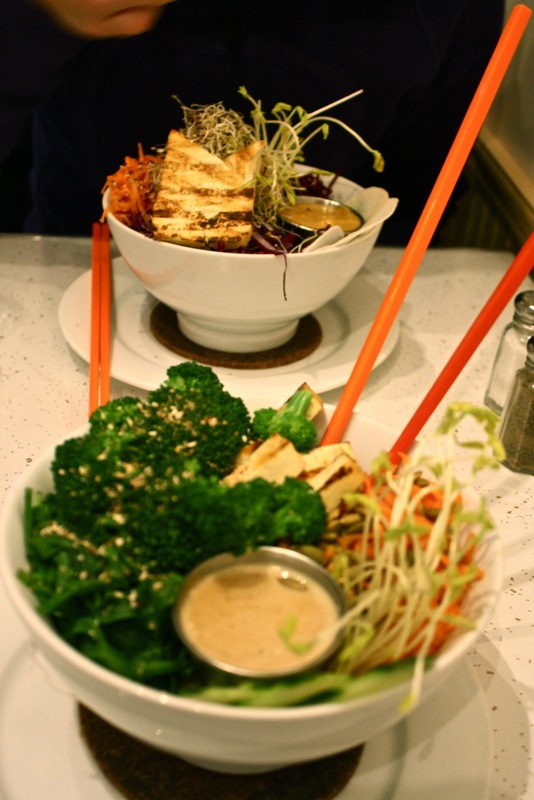 Your weekend sounds lovely :) The buddha bowl looks good. Couldn't the leftover pumpkins be turned into - pumpkin pies or something? I turned a Cinderella pumpkin into a delicious 'fondue' (filled it with slices of a baugette and gruyere cheese and a dash of nutmeg). I really want to play ticket to ride again. That game is awesome! I didn´t realize you were from Montreal!!!! I lived there several years and still have family there!!! I loveee that cheese picture, wine and cheese are all I need to turn it into a great night! sounds like fun. i can't believe the tree is up already. regarding halloween pumpkins, last weekend we saw an event where kids were bowling with them down a hill. looked like fun. also, i've seen catapult parties. must have been all the excitement over food.